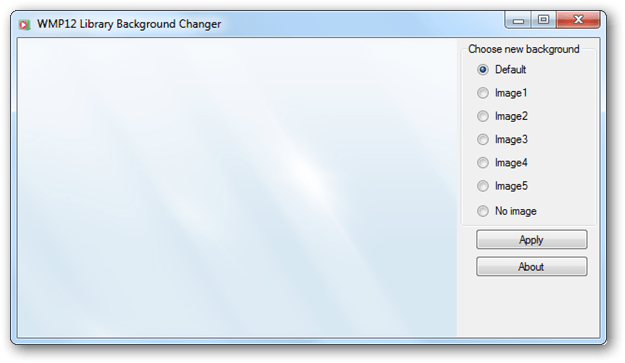 WMP12 Library Background Changer is a free portable tool that allows you to change the library background of Windows Media Player 12 (WMP12) to 6 different backgrounds or no background with one click. Just run the tool, select your desired image and click Apply. It will apply the changes immediately.